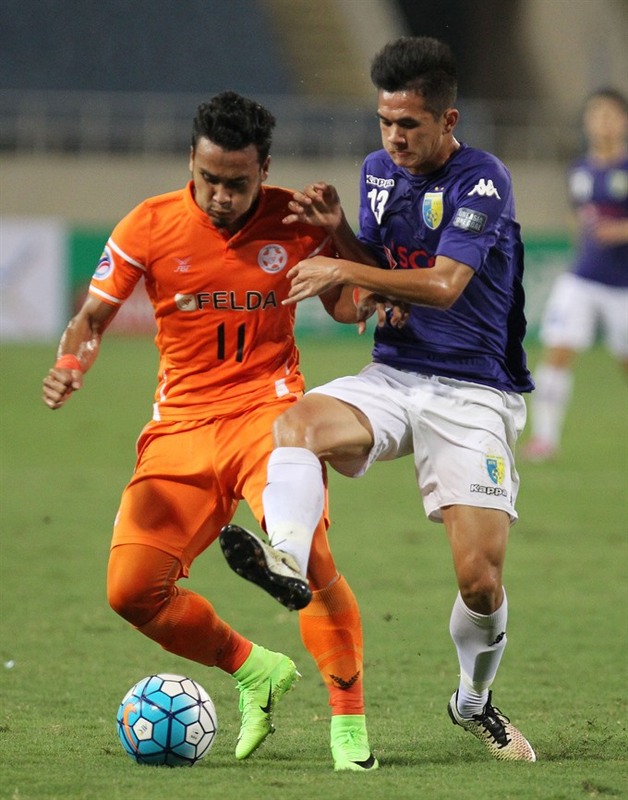 Hà Nội T&T crushed Felda United, from the Philippines, 4-1 in the AFC Cup, yet the win may not be sufficient to ensure the Hà Nội team proceeds to the next round. Both Hà Nội and Felda United are sat at 11 points in group G. But FU will go to the next round thanks to its head-to-head record. Hà Nội T&T will have to wait until the end of the qualifying round to see if they can advance. Two matches will take place at the same time, and Hà Nội’s chances depend on the other match between Ceres and Tampines Rover. Hà Nội started the game in high spirits with a strong lineup. At 3’, the first ball was headed toward Felda United’s goal but missed the target by just a foot. By the 30th minute, the match speed had risen and holes had started to appear in both teams defenses. Despite the chances no goal was scored in the first half. At 49’, Văn Quyết pulled off a tricky header toward the opposition’s goal, but the keeper was quick to gather the shot. At 52’, in a seemingly harmless situation, Đức Huy suddenly shot from 30 metres out. The ball went straight for the corner of the net and the keeper could do little but watch the shot sail past him. At 73’, in the other match, Ceres raised the score to 4-2 over Tampines Rover. The doors seemed to have narrowed for Hà Nội FC. At 76’, Văn Quyết added another goal for Hà Nội to make it 2-0. From 20 metres out, Văn Quyết hit a decisive shot at the far corner. Only 10 minutes later, Văn Quyết put his second goal into FU’s net, raising the score to 3-0. The next goal came at 90’ without much effort when forward Hùng Dũng lightly shot towards the near corner.